Avanti Durani is a Senior Associate at IDFC Institute. Her research focuses on criminal justice with a focus on policing, special governance zones and rural development. Prior to joining IDFC Institute, she worked as an Articled Clerk for M/s. Wadia Ghandy & Co., Mumbai. During her time there she worked in several fields including Funds and Investments, Mergers & Acquisitions, Conveyancing and Civil Litigation in relation to property matters. 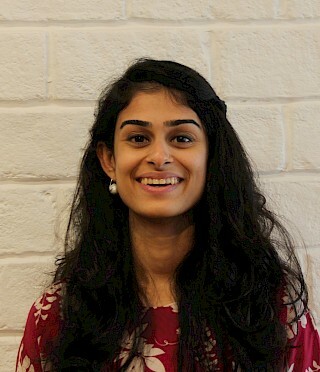 Her other work experience includes working as a Research Assistant for the Tufts University Interpersonal Perception & Communications (IPC) Lab, Boston, USA, conducting and participating in psychological studies and analyses related to emotional perception, and as a Recruitment Associate for Teach For India, Mumbai. Avanti holds a Bachelor of Laws (LL. B.) degree from Government Law College, University of Mumbai, and a Bachelor of Arts degree in International Relations, with a thematic concentration in the regional and comparative analysis of Middle East and South Asia, from Tufts University, USA. Public Seminar hosted by NIPFP featuring the "Safety Trends and Reporting of Crime - A Crime Victimisation Survey".